Review: Starz’s ‘The Missing’ Is Compelling, But Is It Great? Review: Starz's 'The Missing' Is Compelling, But Is It Great? Nothing else needs to be said to peak interest, in real life or even a fictional drama. Human empathy immediately kicks in and we naturally want to help. If we can’t help (which is obviously the case with the latter example) we at least want to learn what could have happened. Either to avoid it happening again, or we want to learn out of morbid curiosity should we have reason to suspect the worst has happened. This is the core driving force for the new Starz miniseries, “The Missing,” a moody, mysterious drama focusing on one parent’s relentless hunt for his child. Constructed with two stories told in parallel, one from the past and the other in the present, the France-set whodunit builds layered questions via its two time periods. Just as you’re wondering what Tony (James Nesbitt) and his father-in-law did in the past, you’re introduced to a new unsettling dynamic in the future. “Why” and “how” questions perk up every seven or eight minutes throughout the first two episodes, and it’s these mini-mysteries, combined with the viewer’s natural sympathy for the subjects, that carry “The Missing” out of its well-mined dramatic territory, beguiling viewers into accepting this predictable yet enticing thriller. The cliches are obvious from the get go, but are spaced apart just enough to avoid breaking focus. Starting in the present day, we meet Tony when he’s revisiting the city where his child was lost. Drunk and jaded, present day Tony isn’t wholly unrecognizable from the pre-kidnapping version we meet when he’s on vacation with his wife and son. He seems sober and relatively fun-loving, but otherwise Nesbitt keeps the character grounded in a sense of urgency that helps match the show’s tone. With him every step of the way in the past (but relegated to a supporting role in the present) is Emily (Frances O’Connor), his wife and Oliver’s mother who’s gone through a much more thorough change since the kidnapping, even if she puts forth a similar facade. O’Connor portrays Emily’s present-day fragility with a conviction aimed at being happy, but private moments expose her hidden pain. It’s s complicated turn, especially when another mystery hinting at a tragic mistake is tacked on at the end of Episode 2. Tony is the bull in a china shop, not caring what or who he breaks to achieve his goal. Emily, though, is hiding in the back, waiting for her moment. The actors help distract from a pile of cliches writers Harry and Jack Williams try to deftly utilize for effective storytelling. 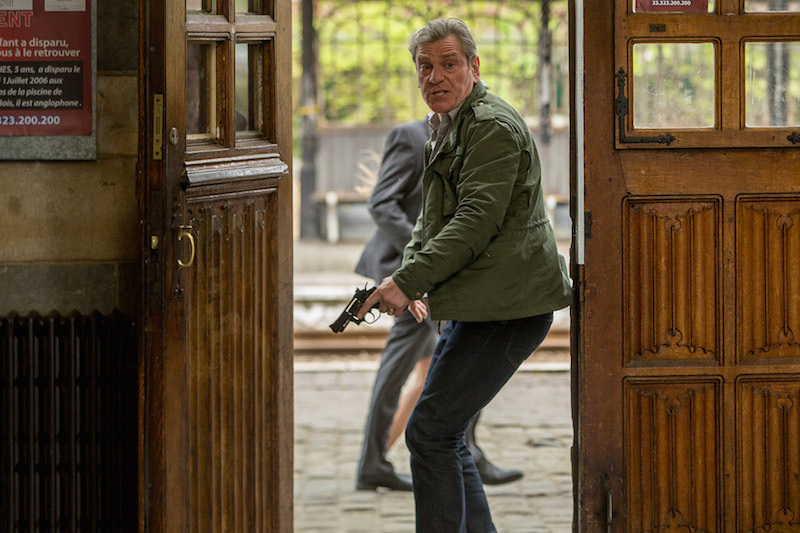 The most prominent of which comes with Inspector Julien Baptiste, a respected detective assigned to the case when it was first opened and who has since retired in present day. What is said without being said—thankfully—is this case was Julien’s last, and, of course, it sticks with him long into his retirement. A “legendary” detective coming out of retirement to work one last case is one thing, but doubling up on the cliche by making it the last case he worked right before retiring threatens to make Julien into a caricature. Luckily, a few subtle touches save him, just as they do the show altogether. First, Julien is played with a courageous simplicity by Tcheky Karyo (“The Patriot,” “Belle and Sebastian”). Karyo makes his detective impressive with how he moves, dresses, and speaks. There’s a clarity in his performance there that would be necessary of any obsessively intelligent policeman, and Karyo is sure not to overemphasize his status. He lives it — a life that includes a wife, the second nudge toward originality given the character. While she doesn’t have a prominent role—I didn’t even catch her name—Mrs. Baptiste isn’t the damaged, protective wife we usually see in her stead. She knows who she married and why he must do what he does, accepting it while lovingly reminding him to come home when he’s finished. Her presence is felt throughout even if she’s only briefly in a couple of scenes. These small touches pepper the first two episodes. A suspect is given a moving speech about why he feels the need to change. Points like Tony’s alcoholism are revealed with brief shots and implications rather than overt confrontations. Yet “The Missing” introduces so many questions within its first two episodes it’s difficult to provide an answer as to its overall quality. What’s there is compelling, though any similar hunt would be, too, as has proven to be the case in the past with shows of a similar ilk. What sets “The Missing” apart from shows like “Gracepoint” is, coincidentally, the grace with which it carries its story. That soft touch will be needed when the meatier material arrives in coming weeks, and seeing it present already provides enough evidence to commit to more episodes. 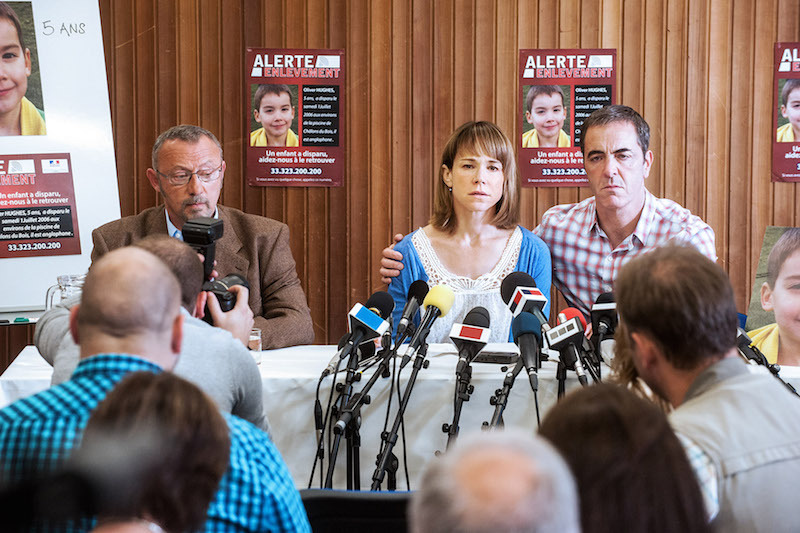 If “The Missing” were a series like, say, “The Killing”—which certainly comes to mind while watching the new Starz drama—it may not be worth the risk. But for eight episodes, this mystery is worth inspecting one more time. “The Missing” premieres Saturday, Nov. 15 at 9pm on Starz. The first episode is now available to stream for free.